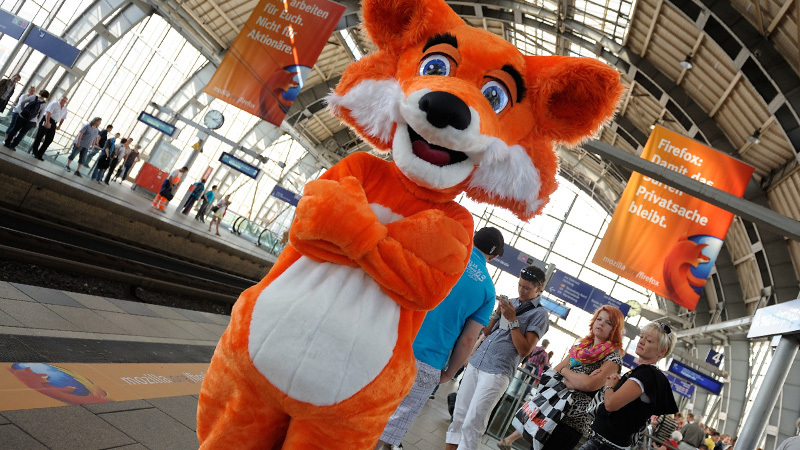 In the late summer of 2012 we took over Berlin transit for one entire month. 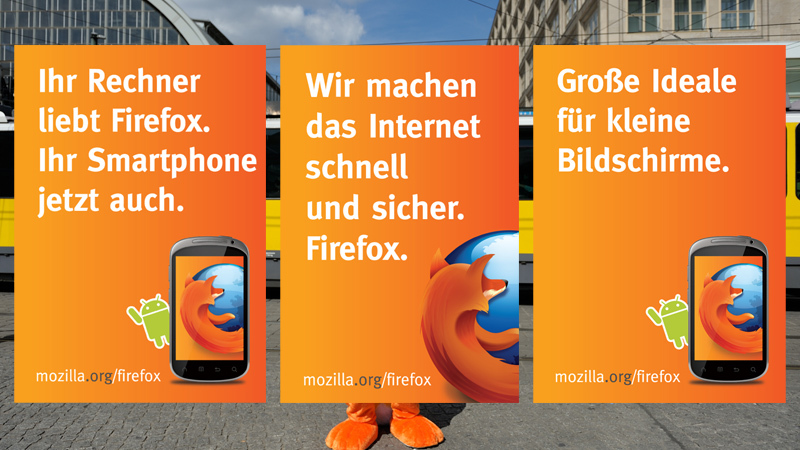 You could see our ads on buses, U-Bahn waggon and all over the Berlin Alexanderplatz train station. A difficulty was to work with copy writers to create with German slogans, not sounding like translations. 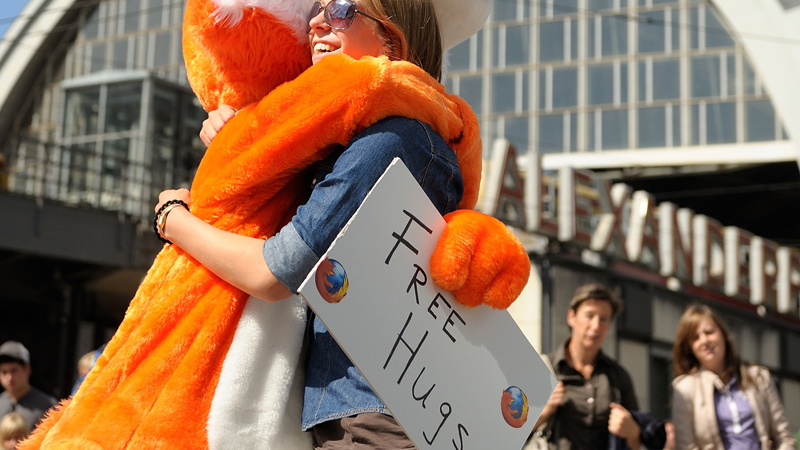 On a sunny day we went out with the Fox mascot and a "Free Hugs" sign. People loved it and many just knew who we were, yelling "It's Firefox!" once they saw us. It was fantastic so see how positive and friendly our brand is perceived. Special thanks to Julia Buchner and Michael Wittig! !